Online Archive of post-D-Day photos – Photos from the days following D-Day. Very interesting for anyone, but especially WWII history buffs. Candian poet troubled by auction of manuscripts – David Wevill’s manuscripts were going up for auction. A thought-provoking piece! Canadian poet to get back manuscripts – A follow-up to the above article. When An Archive Lost – A treasure trove of images of the Kennedy family stored at the World Trade Center was lost on September 11, 2001. But some have been recovered and restored. 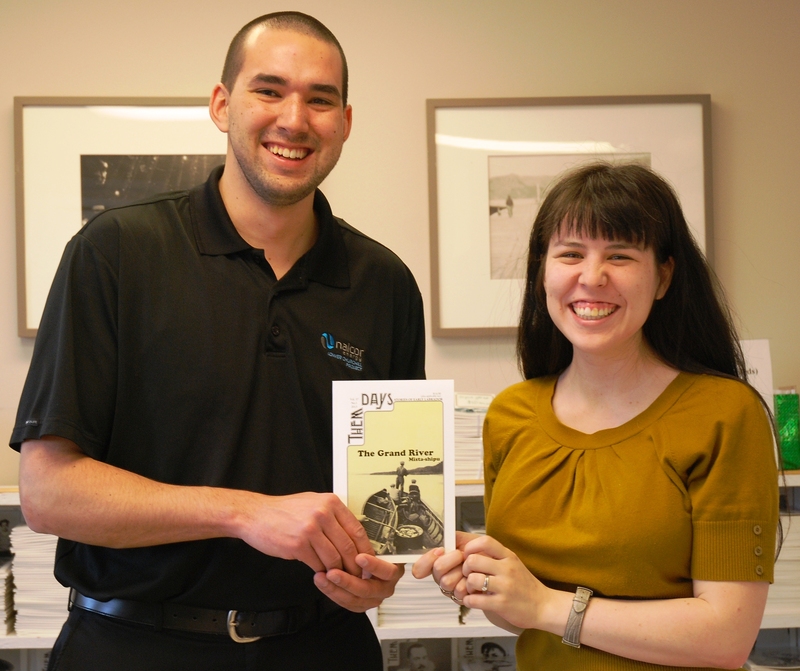 Here I am presenting Matthew Pike, Nalcor Lower Churchill Project Community Relations Advisor, with the Grand River special issue. Thanks to Lorie O’Halloran, Communications Coordinator, for the photo. Nalcor Energy was pleased to sponsor the making of a Them Days special edition on the Grand River (Churchill River). 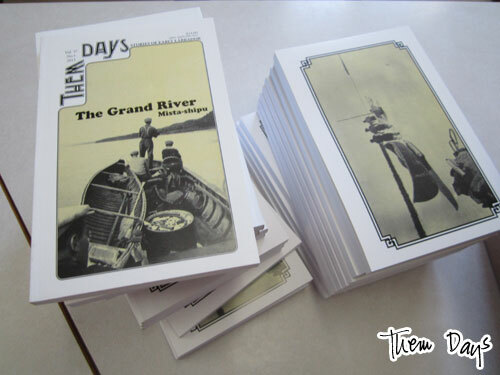 The special edition was released on April 17, 2013 and contains a collection of stories about the Grand River from over 45 individuals such as Elizabeth Penashue, Clarice Blake Rudkowski, and Joe Goudie. The stories in the book tell the history of the Grand River through the eyes and experiences of Labradorians. Editor Aimee Chaulk notes that the stories heard by the researchers invoked a wide variety of emotions,with the most predominant one being pride. The special edition can be purchased at the Them Days office or at local retailers. So thank you again, Nalcor, and I hope everybody enjoys the magazine! The Grand River issue is here and available! If you’re in the Happy Valley-Goose Bay area, the much-awaited Grand River special issue is now out at our local retailers! 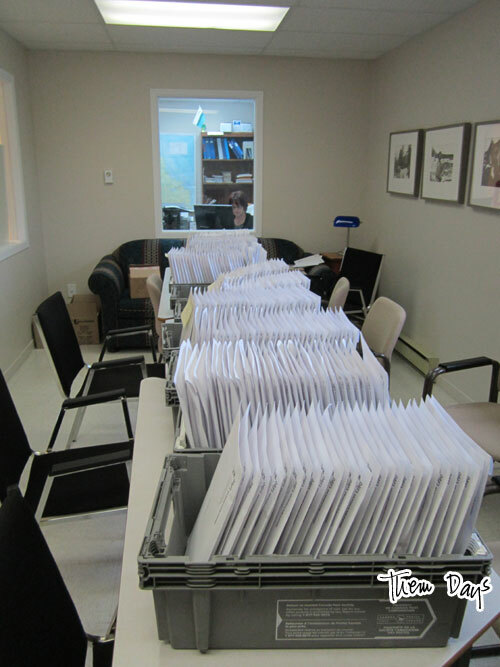 If you’re elsewhere in Labrador or on the island, they should be arriving at your local Them Days retailer in a couple of days (if they’re not out today). Guess what we did this week? That’s right…the magazines came in! (And now they’re gone.) They should be arriving in your mailbox veeeeerrrry soon. Today I’d like to show you a couple of links…one that came across my e-mail inbox last week, and another that I’ve been using for years! Both are part of the Centre for Newfoundland Studies website. 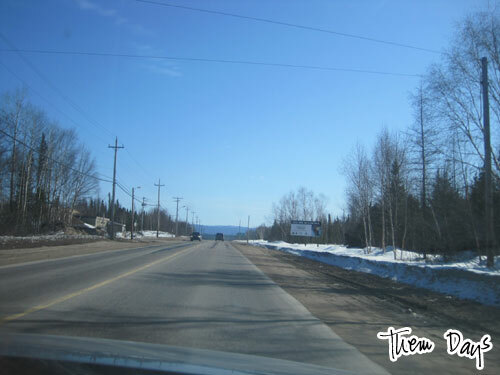 Places in Newfoundland and Labrador – The Centre for Newfoundland Studies has a new page with listings of communities throughout NL, including communities no longer populated. A handy resource for anybody curious about NL communities! Periodical Article Bibliography – This is a link I refer people to a lot. If you’re looking to find something in the pages of Them Days, this is your best online resource. How do you search for Them Days content, you ask? 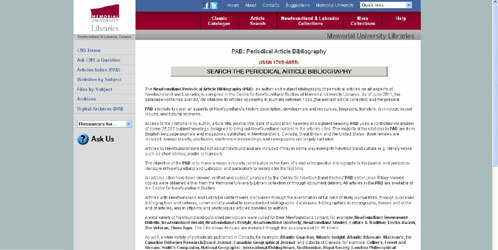 Click the button that says “Search the Periodical Article Bibliography”. It will bring you to a new page. 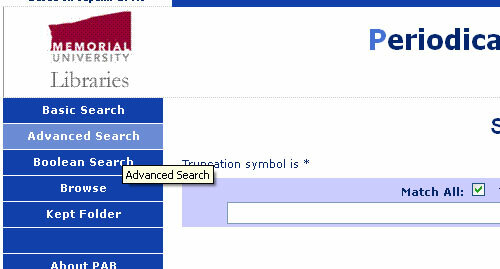 Click Advanced Search on the left-hand side. In the All field, type in what you’re looking for. 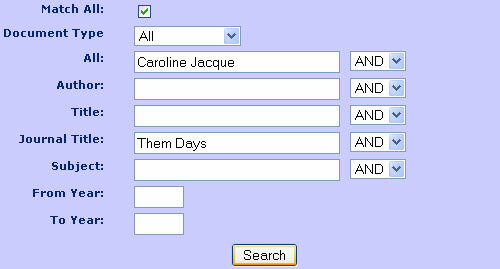 In this case, we’re going to look up Caroline Jacque. 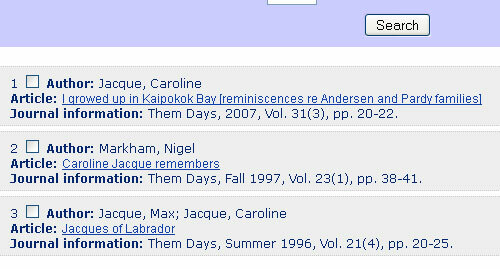 Then, in the Journal Title field, type Them Days. This way, you’ll only get results from Them Days magazine. Click Search. The Periodical Article Bibliography is a great resource for a quick search of Them Days. We have two paper indexes that go into much more detail up to Vol. 20, No. 4, but oftentimes, you get what you need by following the above steps. Happy searching! 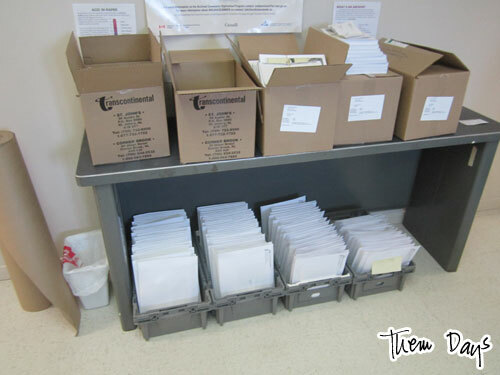 Today Jill and I set out to buy a couple of things we need to get ready for the mailout that should happen any day now (still waiting for it–delay at the printer again). Glue sticks, packing tape, that sort of thing. Well, we also had a secret mission that we had to keep secret from Daphne. It’s a beautiful day today, just perfect for running errands and completing a secret mission around town. You see, today is Daphne’s birthday (bet you couldn’t tell that by the title of the post). 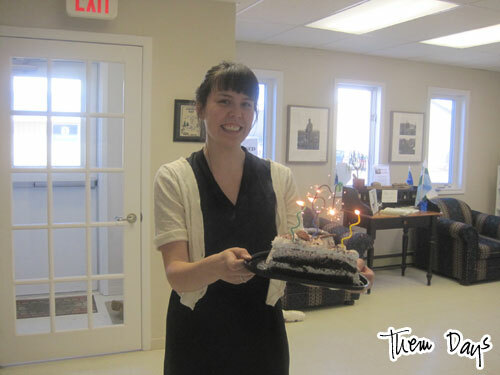 So Jill and I got a half cake and sparklers (I always have candles and matches on hand at the office…I love birthdays!!). We had to get everything ready while Daphne was in her office. Problem? The noisy, crinkly cake box! So we tried some fake coughs…but it was going to be a full-on coughing fit if we did it to cover the noise. So I cranked up some Scandinavian dance music (thanks Songza) and we set about getting ready. Well, wouldn’t you know it–those sparklers are awfully hard to light! And Daphne, wondering why we weren’t chatting with her after we came in, and also wondering why we were having a dance party, started walking around. We could hear her foot steps, and we were trying to light the candles and sparklers, and they just weren’t taking. Of course, it’s only made all the worse when you’re trying to stifle giggles! Well, she caught us! Oops. Ah well. Still a surprise, right? Well, just as she caught us, the sparklers also caught fire. 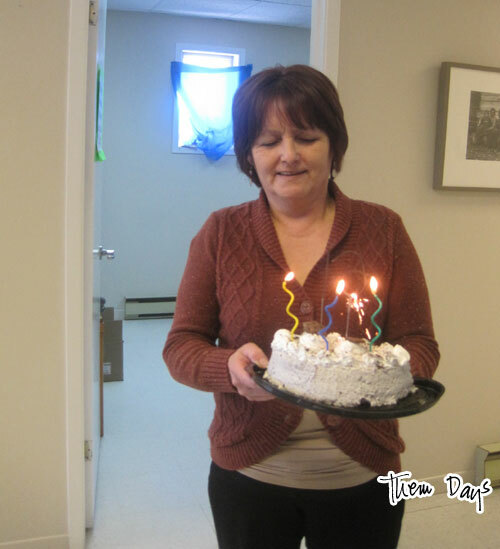 So we were able to present her with her cake. This is the screen that greeted us upon turning on the computer. Excuse my reflection. The laptop worked fine just a couple of months ago (Alicia was working on it) so I don’t know why we got that message, but we did. (Actually, I suspect it wasn’t shut off properly before we put it away.) So I had to repair the computer before Jill could get started on anything using the computer. It didn’t end up being a problem because she was mostly just getting herself oriented and re-familiarizing herself with the archive, but still. 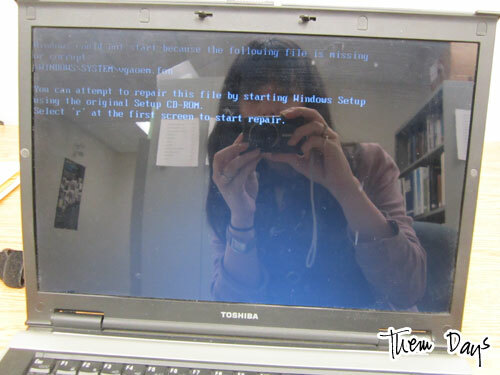 I couldn’t believe I had to start the day off with computer repair. And in my office, things weren’t much better. I turned on the lights and…nothing. Sometimes it takes a few minutes for the fluorescents to power on fully, but they just didn’t come on at all. Eventually, the dimmest of lights starting emanating from one of the lights. It didn’t do much. I was kept busy all morning, between computer repair, phone calls, visitors (and having to explain to every one of them that I’m not really a vampire, that my lights were just blown) and other pressing things, so I figured I’d fix the lights in the afternoon. 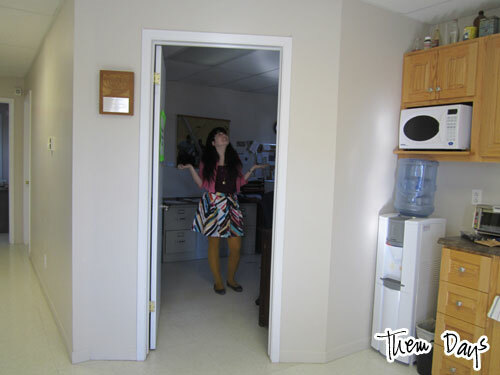 Well, wouldn’t you know it–when I came back from lunch, my lights were on! At least, one set was. That was enough to keep me in light, so I didn’t bother fixing them. But then the next day, it was back to darkness. 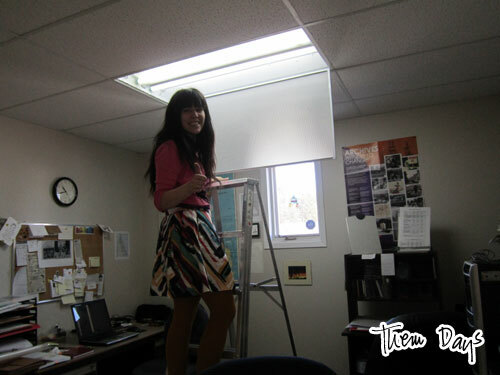 So I took matters into my own hands, and with Daphne’s help in finding lights in our storage room that were still good, I got some light in my office. Woo hoo! So while everything started out breaking, both problems were fixed with a little bit of time and effort, which always feels satisfying, don’t you think?